These are the 2 points that marketers should pay attention to when devising their social media strategies, and indeed the social team behind the cream cookie giant Oreo are exemplars of this approach. How Do We Define Agile Marketing? Well, the Agile approach to development largely focuses around flexibility. That is to say that when developing a piece of software, for instance, the Agile approach is to break the development down into very tiny iterations and test and retest each iteration before deciding how to move onto the next. It differs greatly from the age-old waterfall method of development, which essentially is a sequential structure that moves development along from one major phase to the next, without testing as you go along, nor altering any parts of the development process in response to any difficulties or anomalies as they occur. Indeed, the waterfall method doesn’t even allow for the product to be trialled until it’s finished, at which point you’re left with what you’ve got. As I’m sure you can see, the old waterfall method of managing projects was always destined for a shake up, and indeed that is what has happened, not just with Agile, but with plenty more process management alternatives as well (take a look at ‘Software Development Lifecycle (SDLC) Explained’ for further explanation of these systems). When it comes to social media marketing, the waterfall approach just won’t cut it. The very nature of social media marketing means that if your plan in any way resembles the waterfall method too closely, then you’re simply only ever positioning yourself for a modest success (or perhaps even doomed for failure). How Do I Know My Social Marketing Plan Resembles The Waterfall Method? If you’re following a strict schedule of posts, tweets and engagement, and never really branching out or taking risks on any of your platforms, then you’re stuck drowning in a waterfall. A waterfall approach to marketing means that you post a blog once or twice a week, always on a Monday and a Friday, you have decided on the titles for these posts perhaps weeks in advance (and therefore are not bothering to respond to anything that happens to be trending at the time of writing), will be scheduling tweet links to these posts to happen 3 times a week for the next 6 months, on Tuesdays you are replying to any engagement you’ve received across your social channels, on Wednesdays you’re curating some content for your Tumblr and Facebook page, on Thursdays you’re… who cares? You’re stuck in a rut, and all this regimented nonsense isn’t paying off in conversions, and you know it. No, in order to create a truly successful marketing plan on social, then you need to be flexible, responsive to change, engage in interactions as individuals, and be prepared to be as Agile as you possibly can. 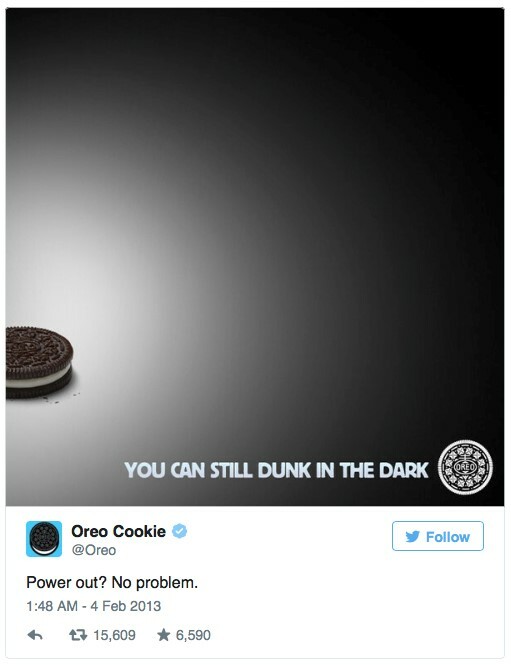 Oreo’s social media marketing team made themselves famous for being agile and innovative during the 2013 Super Bowl (which, as marketers the world over will know, is as famous for its commercials as it is for the sport). Though they didn’t do it with an advert on the telly, but with a single tweet that went viral. During the clash between the San Francisco 49ers and the Baltimore Ravens, something unprecedented happened in the Superdome stadium – the power went out. The players, coaches and thousands of fans at the game were plunged into darkness for over half an hour, whilst millions of viewers around the world were left twiddling their thumbs as to what to do with themselves while they waited for play to be resumed. Fans loved it. 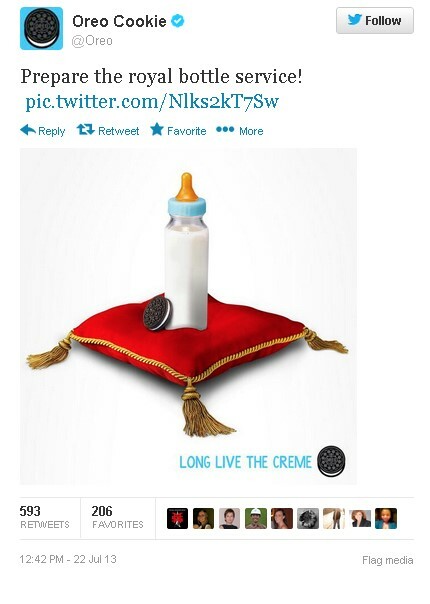 Oreo generated over 16,000 retweets from the post, 20,000 Facebook likes, and it reached tens of thousands. The media were suitably impressed as well, lauding it as being “one of the best Super Bowl ads bar none.” High praise indeed. It was written about in The Huffington Post and The Wall Street Journal amongst many respected others. 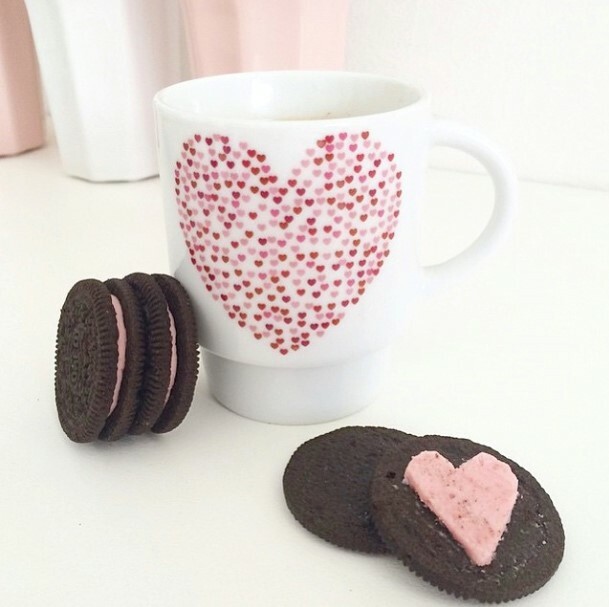 Jumping on a trend is of course a great way to earn your brand extra exposure – especially on Twitter (where Oreo seem to be most comfortable and indeed reign sucreme (not a typo, just a bad pun – geddit? Thank you, I’ll be back with more next week!!)). The trick is to somehow make your tweet (or other post) relevant to whatever it is that happens to be trending, without forcing the issue, adding something new, and, if you can, inserting a little cheeky humour in there too. 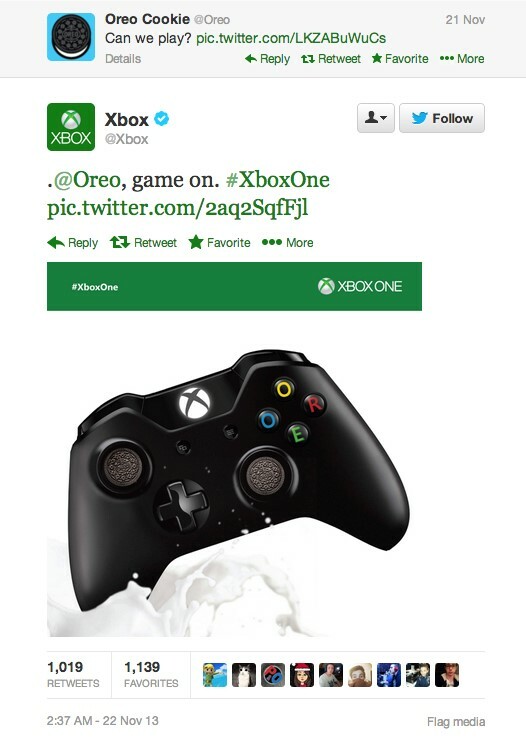 What a treat for consumers watching 3 of the world’s largest brands engage in a little online banter with one another. Simply brilliant for all involved. And this is just the sort of thing that agile marketers do – they innovate in real time, respond to what’s happening, get creative, and, if need be, put everything else aside for the moment, as what’s happening now is what matters most to your customers (you can be a thought leader any day of the week, but when the Apple Watch gets released you want to be an agile and innovative, brave and bold marketer). 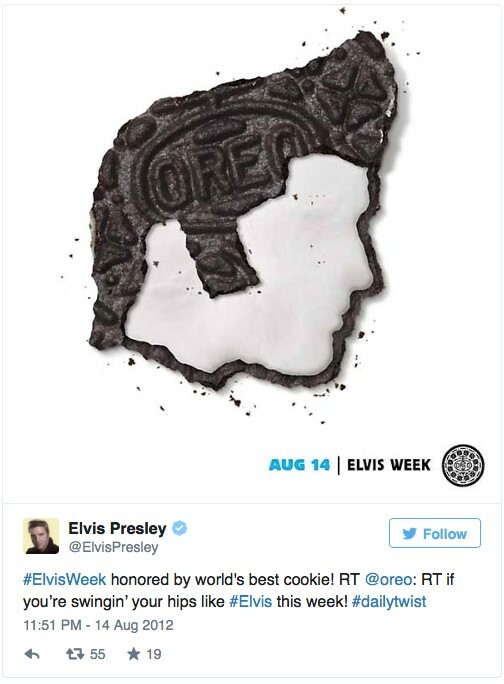 Indeed, it’s this level of real time engagement that has meant that Oreo have transcended their position of simply being a well-known brand to the immortal realms of pop culture iconicity. Clearly, the marketing team behind Oreo know exactly how to exploit the visual appeal of content marketing, and so it should by now come as no surprise that Oreo also perform exceptionally well on Instagram. 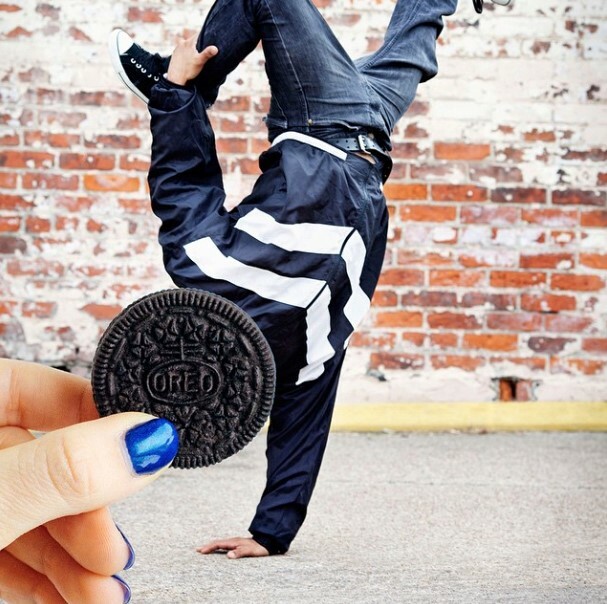 What’s so brilliant about Oreo’s Instagram campaign is that it gives those that love the biscuit and the brand a chance to interact and go head to head with who can come up with the most creative images. This sort of consumer/brand engagement really sits well with everyday followers. Brands are almost like celebrities, and somehow when people are given the chance to interact with entities that seem larger than real life, they jump on it. They feel part of the bigger picture, and that they are indeed larger than life themselves. 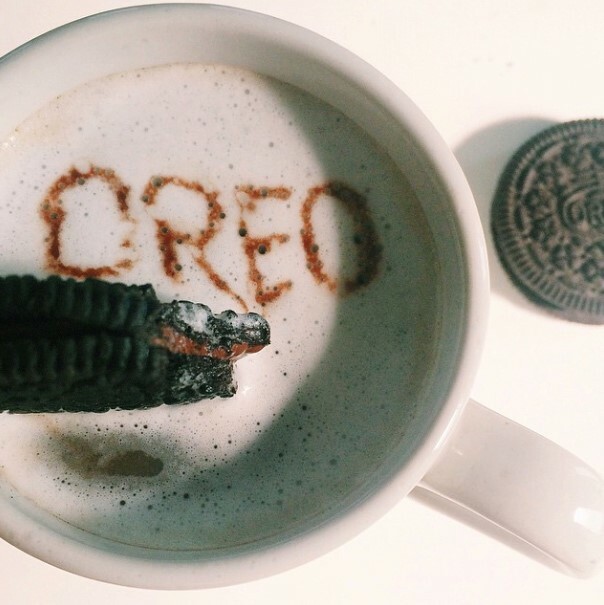 Aside from the fact that Oreo’s Instagram pictures are full of yummy scrummy cookies, they also have a sharp sense of humour, are truly creative and full of flair – and if you can find a way to adapt your product into creating such a visually appealing, fun and entertaining campaign, then you’ll be onto a real winner. 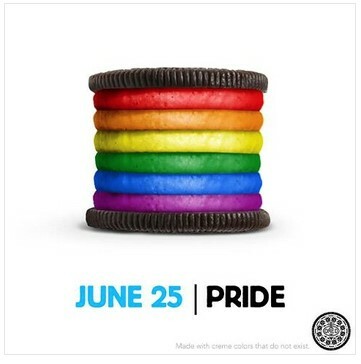 When people are making things like this about your own product, you might even wonder why Oreo even bother in creating any more adverts themselves when their fans are doing it for free. But, in true agile style, just 2 hours later, Oreo had responded with a video reply, which they posted on Vine and shared on Twitter. Oreo are a big brand. But there’s no reason why SMEs like yourself can’t take some inspiration from how they conduct their campaigns. All you need is a little bravery, some creative flair, and the ability to humanise your brand by not taking yourself too seriously. Don’t forget to jump on the band wagon wherever you can. Thank for this article: The genius of… very cute and didactic. excellent roundup!! 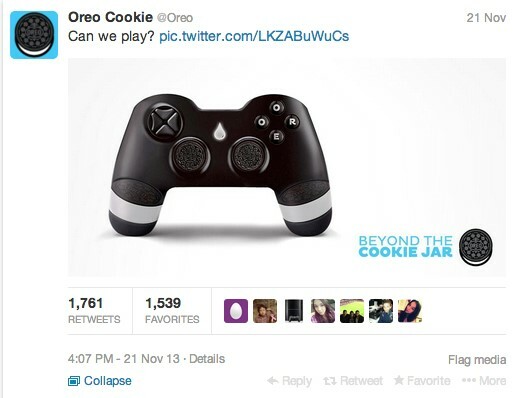 do you know who Oreo uses (agency) for their IG mktg?